Read 275 customer reviews about X-Pel Technologies Lights that have an average rating of 4.5 to find out what product is best for your vehicle. These are a must-have accessory in my book. If you do a decent amount of highway driving, your lights will end up being pitted and hazy after too long. The X-Pel film keeps them crystal clear and looking great. Application is easy - if you've installed a decal before, you can do this. 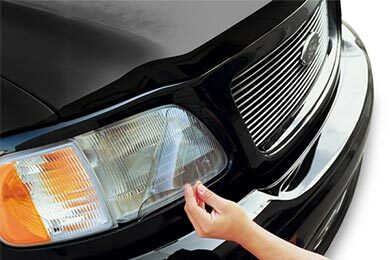 Well worth the investment to keep your headlamps looking new. Reference # 761-772-336 © 2000-2019 AutoAnything, Inc.